At least three Islamic State (IS)-affiliated terrorists have been killed in drone strikes in Afghan's eastern Nangarhar province. In a statement, the governor's office in Nangarhar said that the airstrikes were carried out by the unmanned aerial vehicles of the United States (US) forces in Haska Mina district, reported Khaama Press. Some weapons, ammunition, and explosives of the terror group were also eliminated during the airstrikes, the statement added. 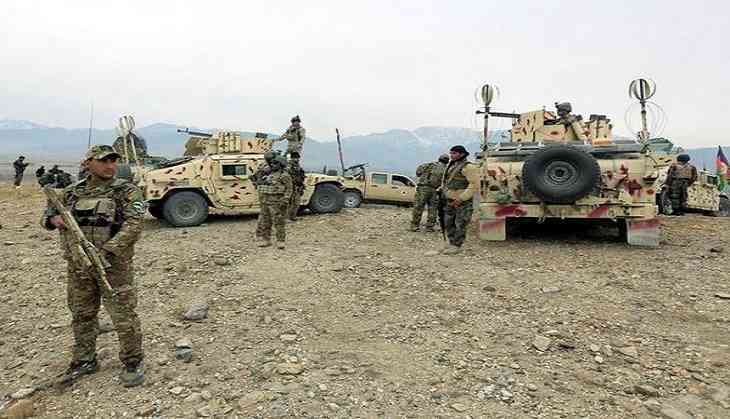 Nangarhar is among the relatively calm provinces in the country's Eastern side but the Taliban and the IS have been attempting to expand their foothold in some remote districts of the province in recent years, the report said. The Afghan forces, along with the US forces, conduct operations regularly to eliminate militants from the area.